and creating a dynamic visual feed. But doing it well can be a challenge. Often times, new Instagrammers have an aversion to using hashtags; they worry that if they have too many, they might look desperate. 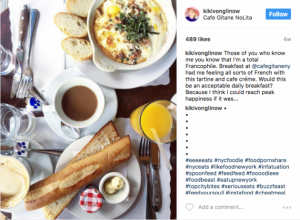 But hashtag use is the key to discoverability on Instagram, Von Glinow says. 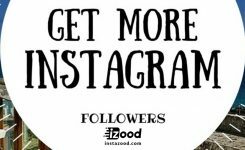 “One of the major ways to inject your account into the larger Instagram conversation is to get thirsty by hashtagging like a champion.” But choosing the appropriate hashtags is key, Von Glinow says. The key to building a community, she says, is to identify the right kind of influencers and active accounts you see as similar to you or part of your ideal audience, and to spend time engaging with them. “Follow them, like their photos and comment frequently, and it’s likely that they’ll return the favor,” Von Glinow says. “These relationships go a long way when it comes to growing your audience,” she says. 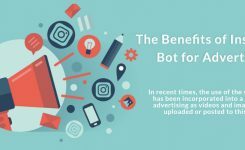 Not only does the reciprocal liking and commenting help increase your own engagement, but when users see accounts they like engaging with you, it acts as social proof, offering you third-party credibility and increasingly the likelihood that other accounts will see yours as valuable, too. Instagram is not a “set it and forget it” platform. 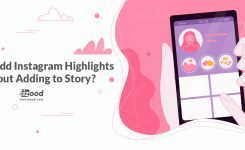 Unlike other platforms, where scheduling tools and auto-optimization can help keep the machine running while you focus on other initiatives, Instagram requires constant and consistent activity and effort. A gap of a day or two in your posting cadence or similar lull in outreach will show up as a dip in your own account’s engagement. Von Glinow recommends posting at least once per day, and engaging with your community through likes, comments and follows with the same degree of regularity in order to keep things consistent. Instagram doesn’t exist in a bubble, cut off from your real life connections. Leverage those relationships to help foster growth in your Insta-community. “Create some casual Instagram partnerships with your IRL friends who have a similar Instagram aesthetic,” Von Glinow suggests. You can promote each other’s accounts in whatever way is most natural. “Start an Instagram story on one account and then encourage followers to finish that story on the other account,” she suggests, “or do an in-feed post using an image or video from another account, encouraging your followers to check them out, and have them return the favor.” Permission is crucial, of course, and the cross-promotion will be much better if you’re truly partnering to support one another.